Disney’s Port Orleans Riverside is a charming resort that transports visitors to the world of beautiful turn of the century Mississippi. The main building holds the registration area and resort’s restaurants and shops. Outside of the lobby is a giant water wheel that actually works. The building is right on the Port Orleans water way. A key highlight of Port Orleans is that along the water way travels boats to and from Disney Springs. On a recent trip, I got to check out the Royal Guest Rooms. These rooms are princess themed! All of the classic princesses are represented. 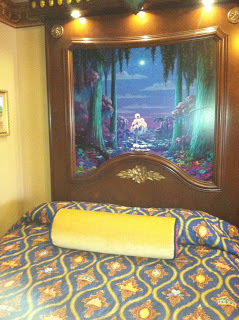 No detail is over looked–from the bedspreads, the carpeting, the lighting–it was all perfectly themed. The fixtures are trimmed in gold. “Chip”, the teacup from “The Beauty and the Beast” lines the ceiling on a beautiful boarder. 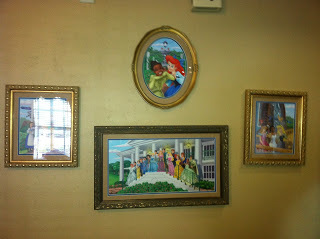 Around the room are framed portraits of all of our favorite Disney Princesses. These rooms are fit for royalty. The headboards light up! 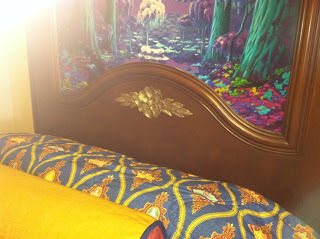 Going with the theme of the Mississippi bayou, Princess Tiana from Disney’s “The Princess and the Frog” is the featured princess on the headboard. The bedspread represents all of the Disney princesses, with little hints of each woven in–an apple, a glass slipper, a rose, a mirror, and a lamp. The bathroom faucet is a golden magic lamp. The clothing rack is a magic pumpkin. 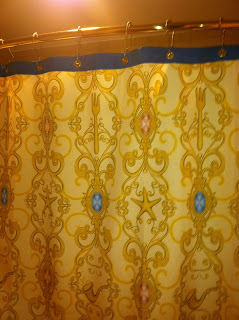 The shower curtain is “The Little Mermaid” themed, complete with dingle-hoppers, snarfblats, star fish and glowing jewels. 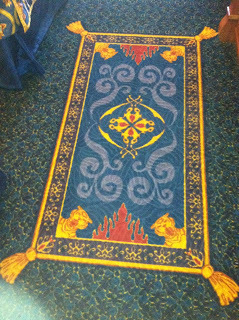 The carpeting is royal blue, with Aladdin’s magic carpet mixed in. Anything princess is usually pink, frilly, and flamboyant. These rooms were none of those. Disney really had families in mind when they designed these rooms. There is no way I could talk my husband or son into staying in a “princess” room, but these Royal Rooms even my teenage son would love. The Disney touches are very subtle but still there. We had so much fun walking around the room and looking for all the princess references, and a hidden Mickey or two. To say I was impressed with the resort and the Royal Rooms is an understatement. These rooms are perfect! I can’t wait to take my little prince and princess to stay in them. Even if I wasn’t a self described Disney nerd, I would love these rooms. They are amazing. 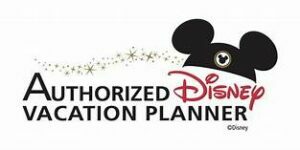 Are you planning a Disney trip? Let us help! We will take all the details for you–for free!